Processing a return needs to be completed on a new quick invoice and not on the original invoice. First, navigate to the Client's page and click the "Create Quick Invoice" button. 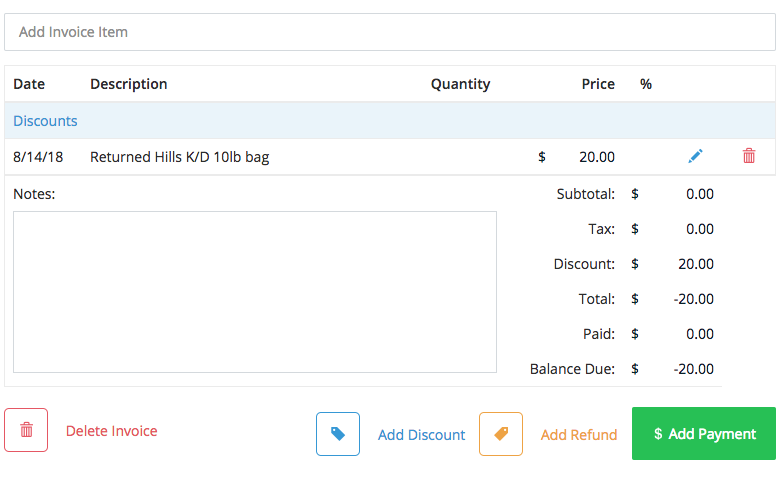 Click on the "Add Discount" button and enter the total cost for the original product and a note referencing what item is being returned. 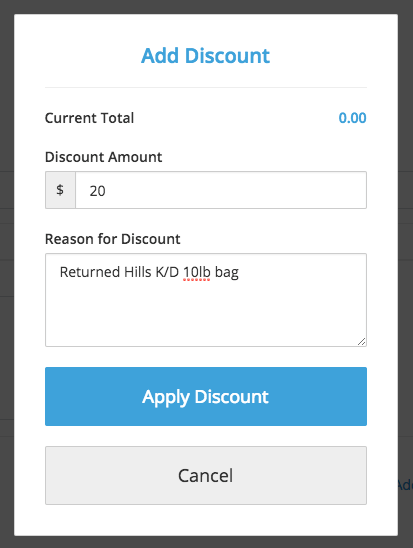 Apply discount. Applying the discount will reflect a credit or negative total on the invoice. This may be left as a credit that can be used on a future visit or you can process a refund if you will be giving money back to the client. If you will be processing a refund for the product that is being returned, you will apply the refund on the corresponding quick invoice. See the full article on processing a refund for instructions.